Every day for the last 18 years the beauty of the Sun has been brought down to Earth with the help of the Solar and Heliospheric Observatory (SOHO). Since its launch in 1995, SOHO has been in orbit around the L1 point 1.5 million km from home at a gravitationally stable point between the Sun and the Earth. 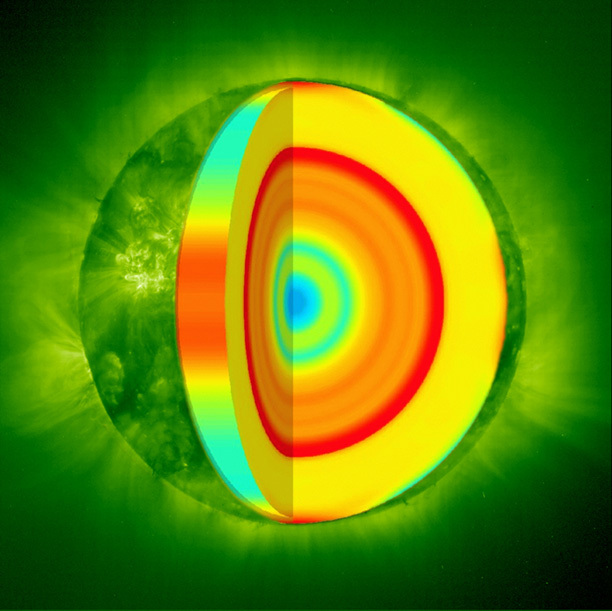 It has an un-obscured view of the Sun from its photosphere to the extended corona and winds, allowing us to investigate solar dynamics from the core to the Sun’s effect on the Earth. Friday March 1st will mark the 6300th day of its mission and baring a minor incident in 1998, which resulted in the loss of all three of its gyroscopes, it has been continuously monitoring the Sun and its output for us to analyze and understand. In its near two-decade mission SOHO has also found over 1,500 comets using the Large Angle and Spectrometric Coronagraph (LASCO), and although not part of its original purpose, has become the most prolific comet finder in the history of astronomy. 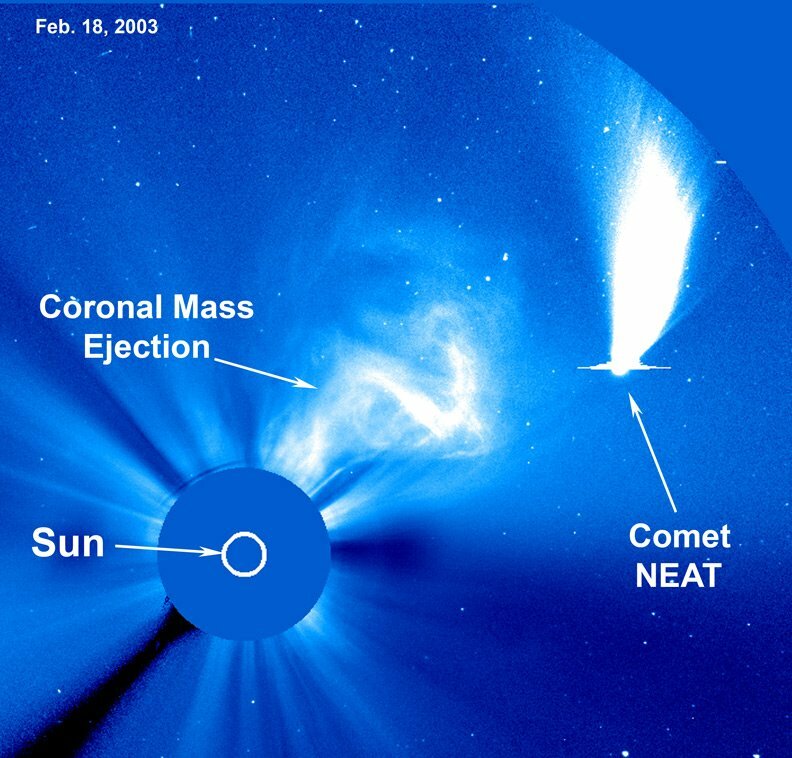 LASCO along with the Extreme ultraviolet Imaging Telescope (EIT) monitor the Sun over a wide range of wavelengths from the solar corona out to 30 solar radii with LASCO C3. 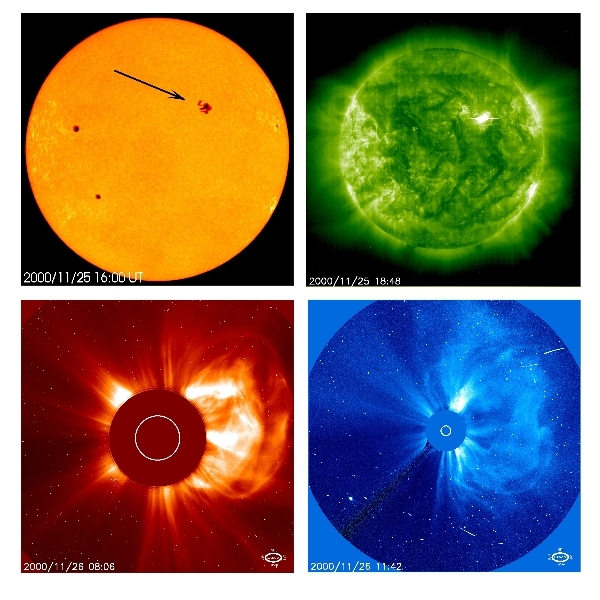 This has provided us with amazing images giving us time series observations of large-scale structures evolving from sunspots out to coronal mass ejections and their influence on the earth through solar wind propagation. Helioseismology observing the global oscillation frequency of the sun as well as the variability in irradiance and magnetic activity to build up a picture of its internal dynamics. In-situ particle monitoring determining the constituents of the solar corona. Atmospheric observations, making multi-wavelength observations; this includes LASCO and EIT images. SOHO has had a huge influence on our scientific understanding of the Sun with over 7,000 papers referencing its data in the SAO/NASA Astrophysics data system since its launch in 1995. These span a wide range of topics from the mechanisms behind the acceleration of the solar wind, out to analysis of exoplanet host stars in comparison to our own. SOHO is a true international collaboration between ESA and NASA and with an original mission lifetime of two years it is now one of the longest running and most successful missions of all time. Its latest mission extension takes it up to 2014 but I have a feeling that no matter the official dead line SOHO’s knowledge and legacy will be around for decades to come. The entire SOHO archive is available to download from the Internet with high quality images that can be used for a number of principle scientific investigations or just to make a pretty background for you desktop. Each with detailed links to the different instruments and numerous photo galleries to see some more like the sample on this post.